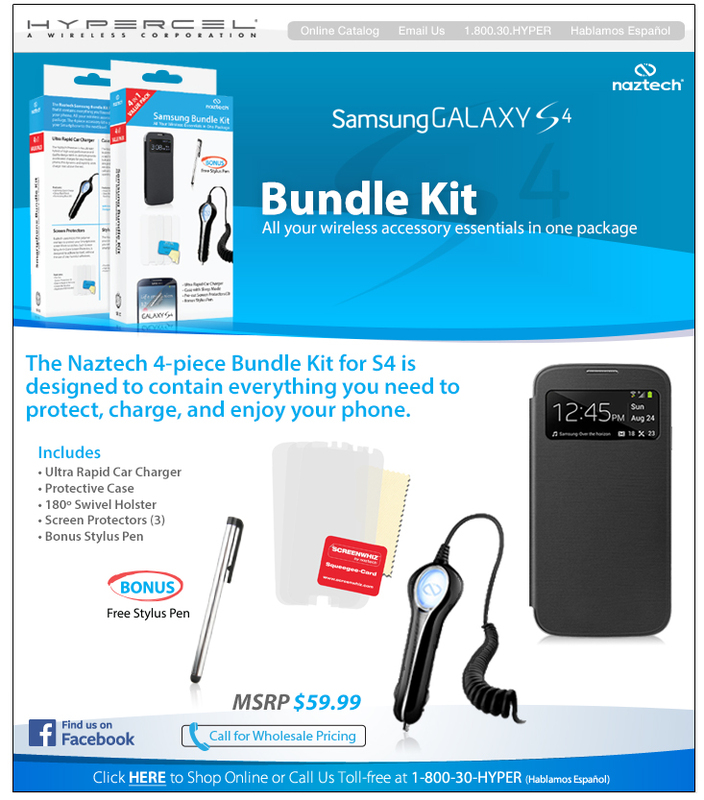 The Naztech 4 piece Bundle Kit for S4 is designed to contain everything you need to protect, charge and enjoy your phone. All your wireless accessory essentials are in one package. The 4 piece accessory kit is your solution to taking your Samsung Galaxy S4 to the next level.